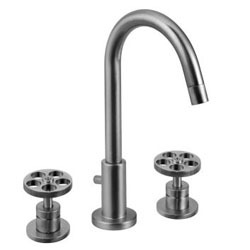 Downtown Lumber Home Building Centre offers upscale bath and kitchen faucets suitable for any remodeling solutions offering standout design and up-to-the-minute features. Our Showroom displays a complete line of quality, innovative Faucets and Accessories which are perfect for homeowners seeking to create a unique ambiance in their living space without compromising on comfort. We, at Downtown Lumber Home Building Centre are proud to say that we carry some the most highly rated brands in Faucets and Accessories. Riobel, Blanco and Cabano, being some of our suppliers. 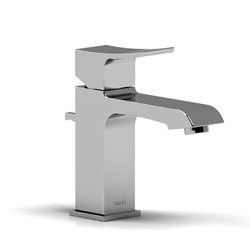 Your health; Selection faucets respect the CSA and NSF61 norms. 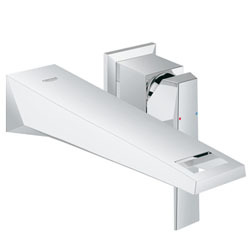 Your comfort; the pressure balance and thermostatic valves offering a constant temperature water flow. Your pleasure; the German ceramic cartridge for an easy use with a smooth touch. Your security; the pressure balance and thermostatic valves have a temperature control assuring the security of your family. BLANCO presents an exclusive range of sophisticated faucets, exquisitely complementing their stainless steel and SILGRANIT® sinks. Achieving high artistic expression, BLANCO faucets offer timeless appeal and an abundance of functionality and performance. From the minimalist geometry of ZIROS, PRECISION or HARMONY faucets, to the traditional charm of the GRACE or RITZ, BLANCO faucets provide a design solution for any contemporary or traditional kitchen décor. CABANO was founded in the year 2000 in Toronto, Canada as a division of Trendline Marketing. CABANO is an importer and distributor of decorative plumbing products for bathroom and kitchen. At CABANO they search the world for high quality manufacturers that are environmentally friendly and pass strict C.S.A. standards. You will find CABANO products displayed in our showroom. These products will meet the highest quality standards, with attractive design and a range of styles from the latest trends to the traditional. GROHE Design is more than just an aesthetic message. GROHE Design does not merely please the eye but rather seeks to lend substance to an underlying idea which is intuitively understood by the beholder. Seven decades of research and development has resulted in a range of products that are renowned worldwide for their technical excellence and longevity. 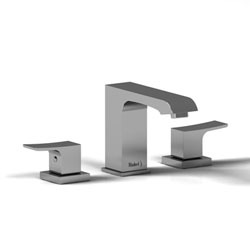 Their reputation for manufacturing high-quality bathroom faucets makes GROHE the preferred choice for use in first-class hotels and prestigious residential and commercial building projects across the globe. 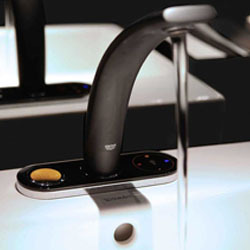 AMERICAN STANDARD is one of the world’s leading producers of bathroom and kitchen fixtures and faucets. Their global business is a part of people’s lives in more than 40 countries.